Gender-based violence may seem a daunting topic to discuss in a school but also too important an issue not to address. The Rev’d Gillian Moses, Chaplain at St Aidan’s Anglican Girls’ School has started the conversation at her school and continues to develop the approach they are taking. The need we saw was to normalise conversations about gender and gender-based violence at school. Research on the prevalence of domestic violence tells us that girls at our school are witnesses or victims of domestic and intimate partner violence. We felt we had some responsibility to address this with them, to better equip them to talk about it, and to encourage staff to be comfortable having those conversations with students. Our response has been twofold: in the area of awareness raising and activism, and in curriculum development. Awareness-raising comes first, so we held assemblies in the first year at both Junior and Senior Schools. These were tailored to each age-group, so at Junior School we talked about feeling safe, and knowing who our safe people are. At the senior school, we focused more on signs of unhealthy relationships. Since 2014 we have stepped up the level of awareness raising, including hosting a guest speaker from the Premier’s Domestic and Family Violence Implementation Council, and staging an art installation to create a visual reminder of the problem and the White Ribbon Day campaign. Of course, awareness-raising is only a start, and the heart of our approach has to be curriculum development. This has led to a unit on Sexuality and relationships offered in the Religious and Values Education program for Year 10 students. Here there is explicit discussion of healthy and unhealthy relationships and behaviours, including practical work on difficult conversations and dealing with conflict. This is an area that needs much more time and development, but we have made a start. The impact so far has been positive. Students have shown that they do know what healthy and unhealthy relationships look and sound like, but there is still naivety around the likelihood of becoming involved in such relationships. We continue to build on work around White Ribbon Day and this year we are looking at building a new relationship with a violence prevention initiative in Northern Queensland, with the intention of taking our involvement beyond simply knowing about the problem. We also invite some year 10 students to the Premier’s White Ribbon Day Breakfast where they learn more about what is happening at a legislative and community level. 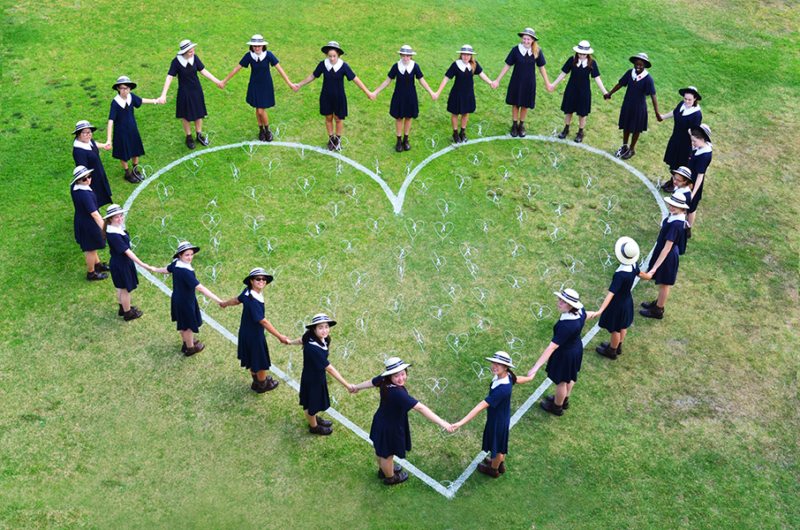 We are working towards White Ribbon Day becoming an important fixture in the school calendar. We still encounter parents, staff and other members of the community expressing disbelief that this is an issue that affects our girls. There is still a perception that violence doesn’t happen in nice families, and this attitude can make it much harder for students to flag that it is part of their experience. We will continue to talk about these things, to model that healthy communities do talk about problems constructively, and to reduce any sense of shame that girls may feel around the topic. Previous Post School Chaplain – Voice of the Prophet?